Mark the experience of a lifetime with a classic three stone ring. 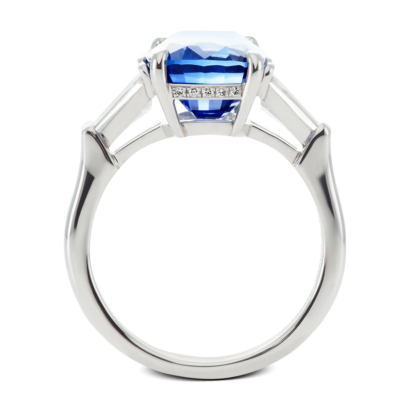 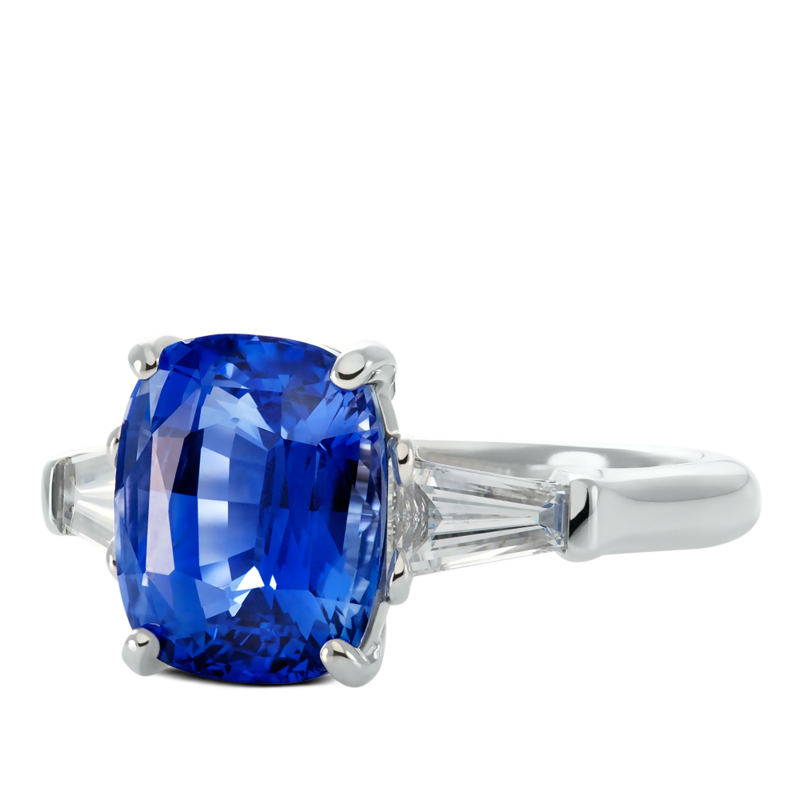 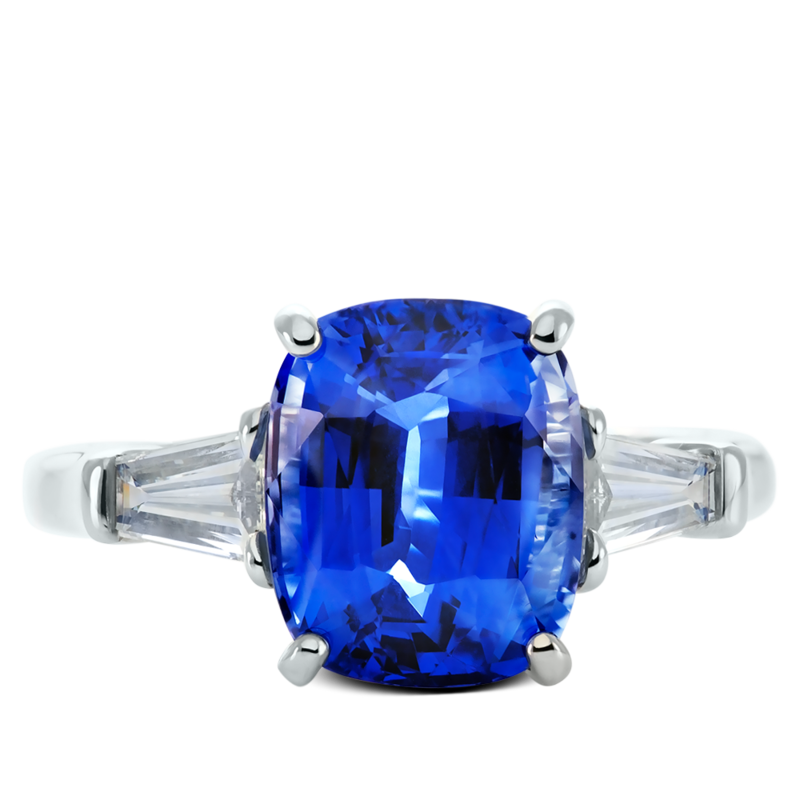 Cushion cut sapphire diamond is set in platinum and flanked between tapered baguette diamonds on a platinum shank. 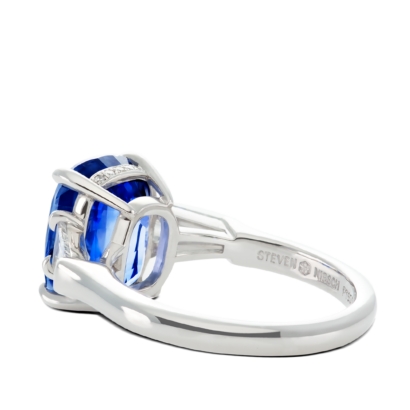 Center basket accented with pave diamonds.